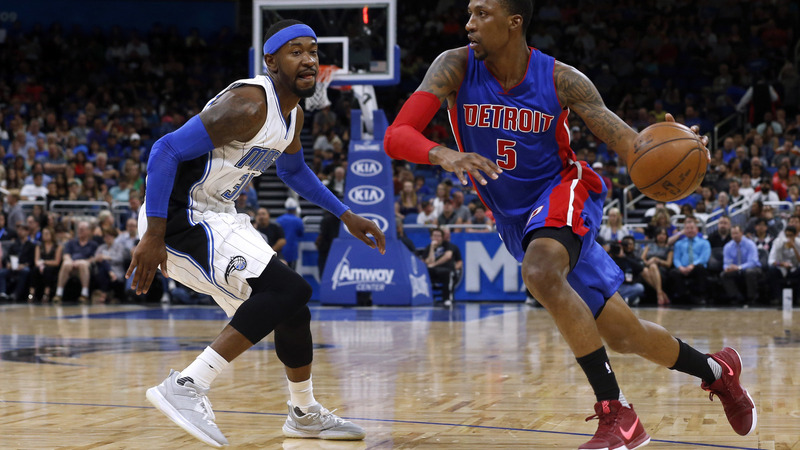 Home / Basketball / Did Lakers sign Kentavious Caldwell-Pope to appeal to LeBron? ESPN’s Dave McMenamin reported on Friday that the Lakers may have been motivated to sign Caldwell-Pope since he shares an agent with LeBron James. Multiple league sources suggested to ESPN that a major motivating factor in the Lakers’ signing Kentavious Caldwell-Pope to a one-year, $ 18 million deal this offseason was because Caldwell-Pope is repped by Rich Paul, the same agent as James. Now the Lakers can spend a year communicating with Paul, showing him how they run their organization, sharing meals, etc., and it will all be protected under the Caldwell-Pope prism, even if it could prove influential as to what James ultimately decides to do. Lakers GM Rob Pelinka is himself a former agent, so he understands the value of establishing an open channel of communication beforehand. Signing Caldwell-Pope to a one-year deal serves to benefit the team on the court in the short-term, put them in touch with the camp of a top free agent target (in a much more permissible way than they apparently have been doing), and keep the books clear for a run at James when he can become a free agent in 2018.